WHA has been an active partner in Georgia’s Initiative for Community Housing (GICH) program, with WHA’s Executive Director, Michelle Yawn, serving as Chairman of the Winder GICH team. GICH offers communities a 3-year program of collaboration and technical assistance with the objective of helping communities launch neighborhood revitalization plans. GICH was developed recognizing that many of Georgia’s rural communities struggle with how to bring together the critical players, access funding, and organize a strategy to address their neighborhood revitalization needs through partnerships and coordinated action. 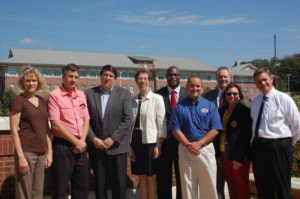 WHA has been instrumental in City of Winder’s Urban Redevelopment Plan, and Revitalization Area Strategy Plans, working closely with the Northeast Georgia Regional Commission. Barrow Book Partnership (BBP) is an innovative way to improve early literacy skills in Barrow children ages birth to five by promoting language nutrition. Language-rich adult-child interactions are as critical to a baby’s and young child’s brain development as healthy food is to physical growth. BBP provides free age-appropriate books for the home and educates families about the wealth of free early literacy books, programs and opportunities offered in local public libraries. “Giving a ‘fish’ and teaching to ‘fish’ at the same time.” Winder Housing Authority donates time and resources to this great community program. The success of these programs and the cultural mind-set of this housing authority come from the vision and leadership of the Executive Director, Ms. Michelle Yawn. She believes in using her experience and her organization’s strengths to improve the housing and economic conditions of Winder and the surrounding areas. Ms. Yawn’s conviction and efforts are demonstrated through her volunteer efforts outside of the housing authority including serving as a Board Member for the Barrow County Habitat for Humanity in 2012, Board Member of the Barrow County Chamber of Commerce from 2013-2018 (2017 Chairman of the Board), and the Treasurer for Barrow County Family Connection. 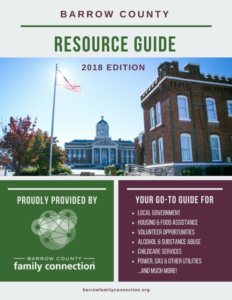 WHA is the fiscal agent for Barrow County Family Connection and Wimberly’s Roots. She encourages her staff to volunteer at least one hour a month of time donated by Winder Housing Authority.